Composed by Peter Scholtes. Arranged by Lloyd Larson. Choral. Sacred Anthem, Discipleship, General, Lent. Octavo. Lorenz Publishing Company #10/3913L. Published by Lorenz Publishing Company (LO.10-3913L). 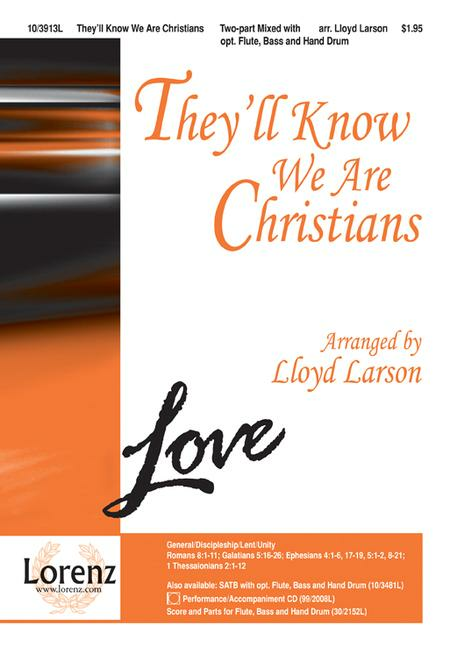 The classic Christian folk song takes on new life in this stylized gospel setting by Lloyd Larson--great for 21st century choirs. Inspired by the words of Jesus in John 13:35, this familiar song has a timeless message of unity through Christ, working as one for peace and justice. The keyboard accompaniment surprises and delights, complementing accessible vocal writing.